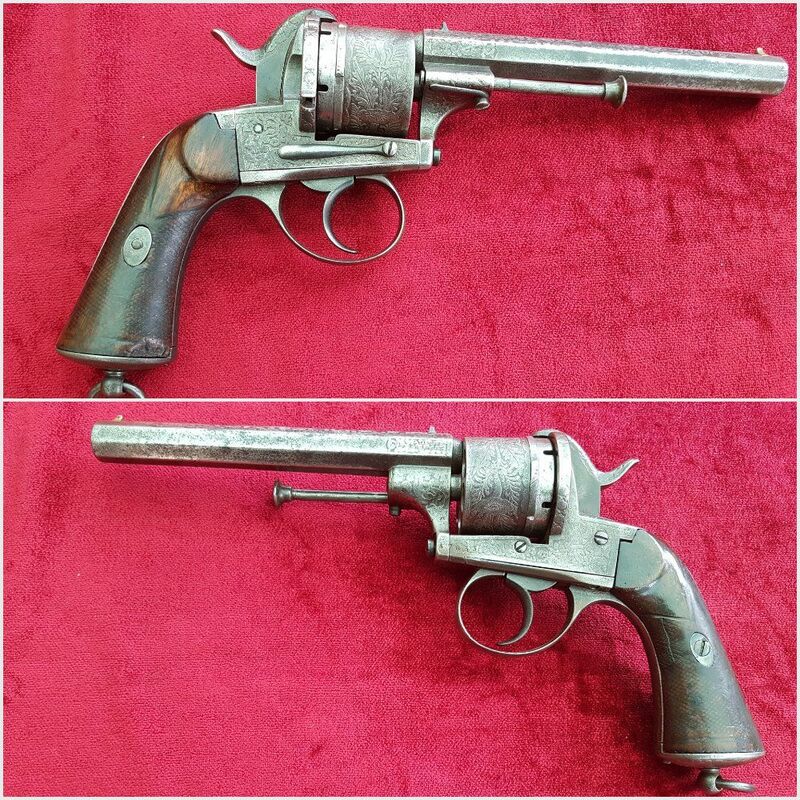 A good Belgian 13mm Pinfire 6 shot revolver by A FRANCOTTE. Circa 1865-1866. Ref 8542. 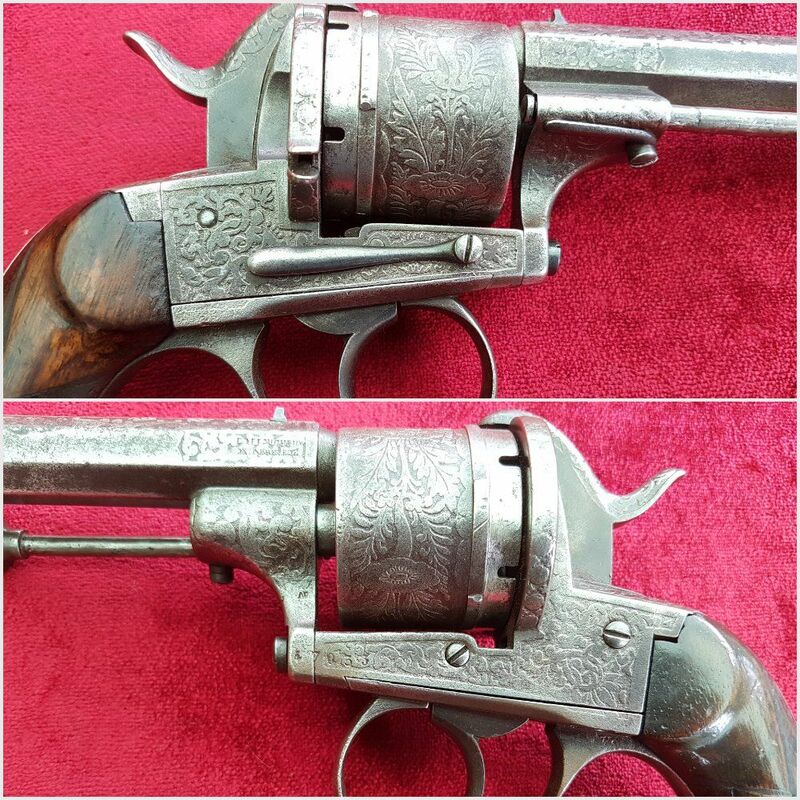 A good Belgian 13mm Pin-fire 6 shot revolver by A FRANCOTTE. Circa 1865-1866. 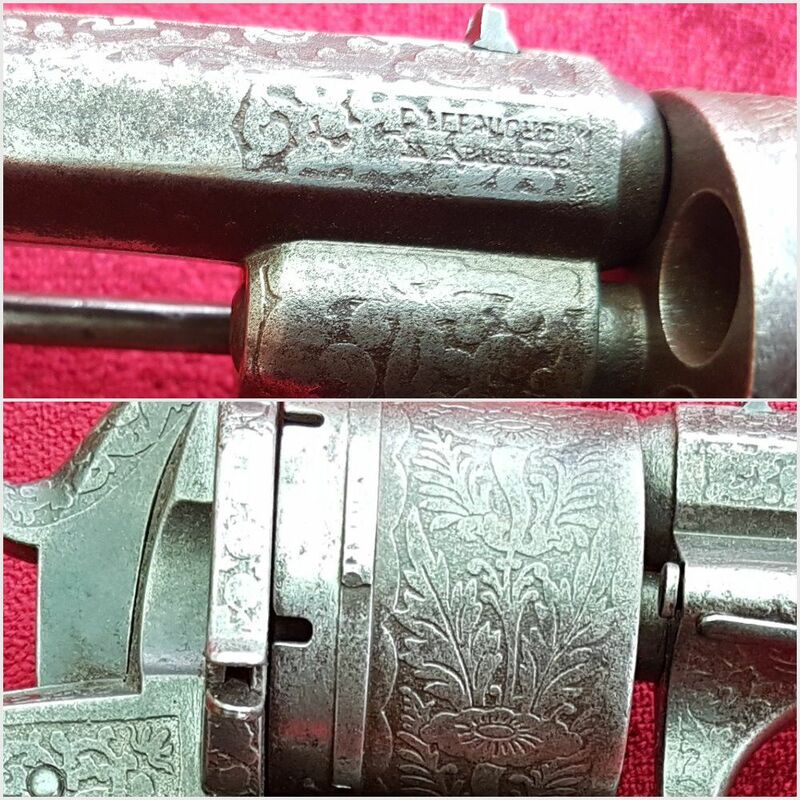 The top of the 6 inch barrel etched A FRANCOTTE BREVETE and the side engraved LEFAUCHEUX BREVETE. Auguste Francotte set up his gun works in Belgium in 1805 and made pistols of the highest construction. 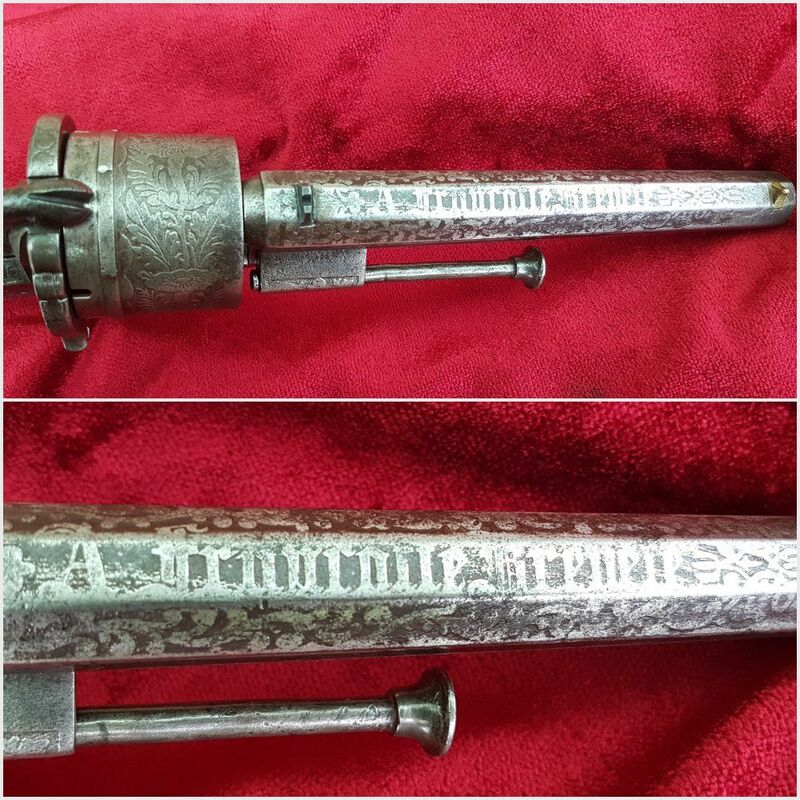 Engraving and etching was utilized throughout to help promote the high value of Francotte guns and much of the extra detail could be requested by customers. 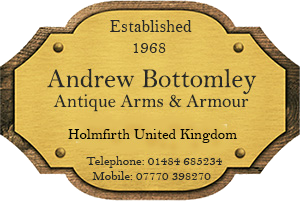 Decorative etching to the frame, cylinder and barrel. Double action. Walnut grips with lanyard ring. 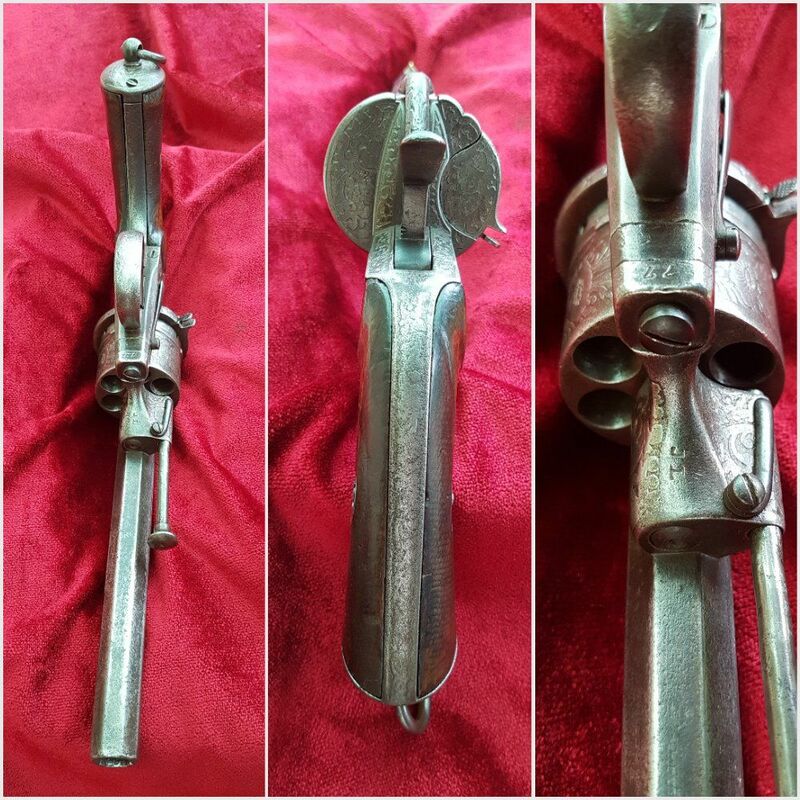 Octagonal 6 inch barrel with bead foresight and steel ejector rod to the right side. Overall length 11 inches. In good well used condition and in working order. Ref 8542.